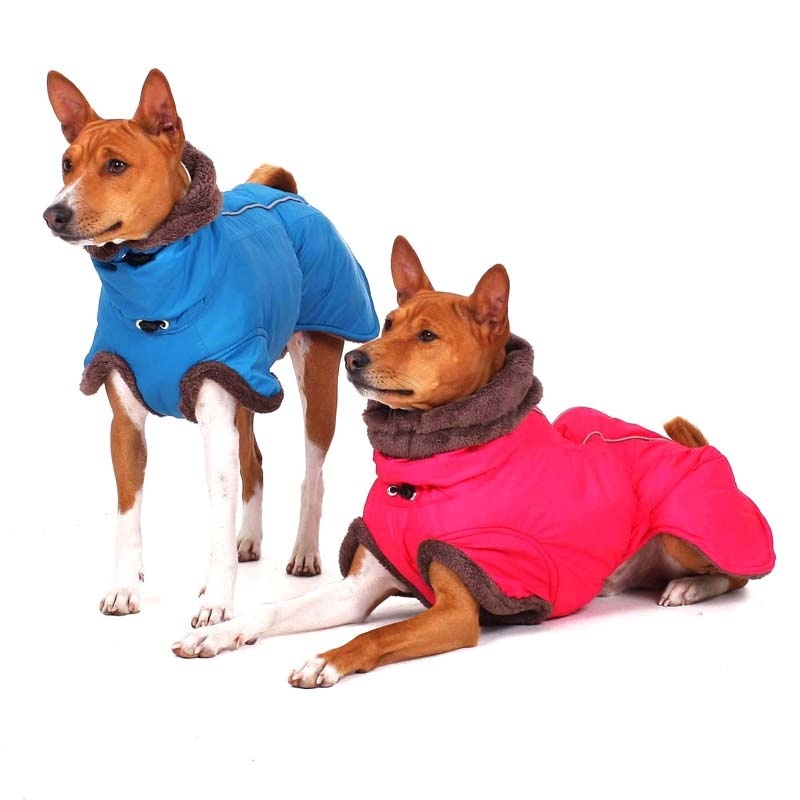 Warm and comfortable winter vest is the perfect solution for your dog, if you want to protect well his chest and belly against the cold, keeping the comfort of free movement. 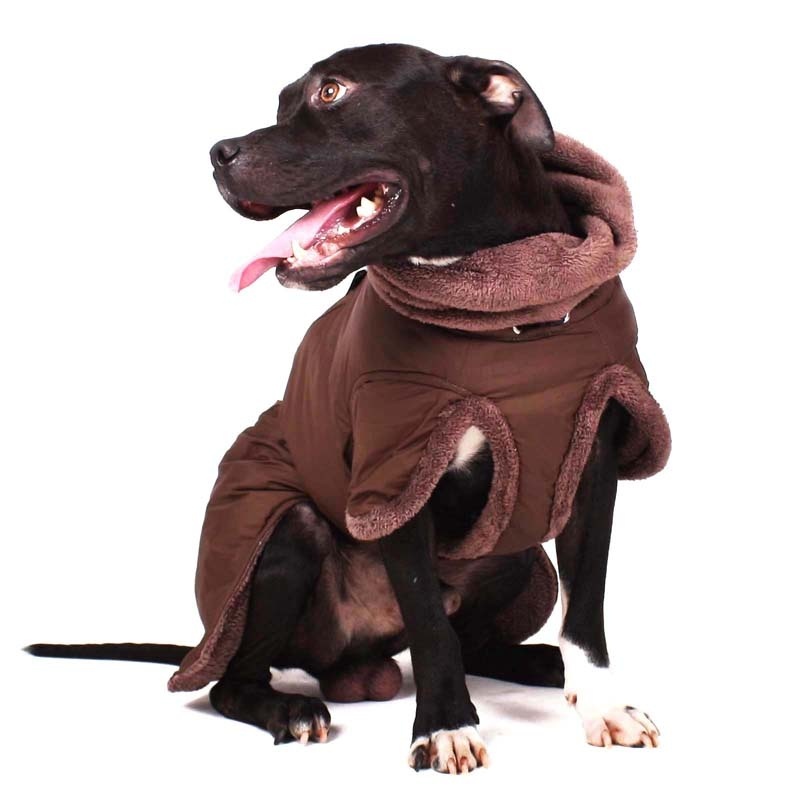 Upper material has a waterproof finish and is very gentle and soft. 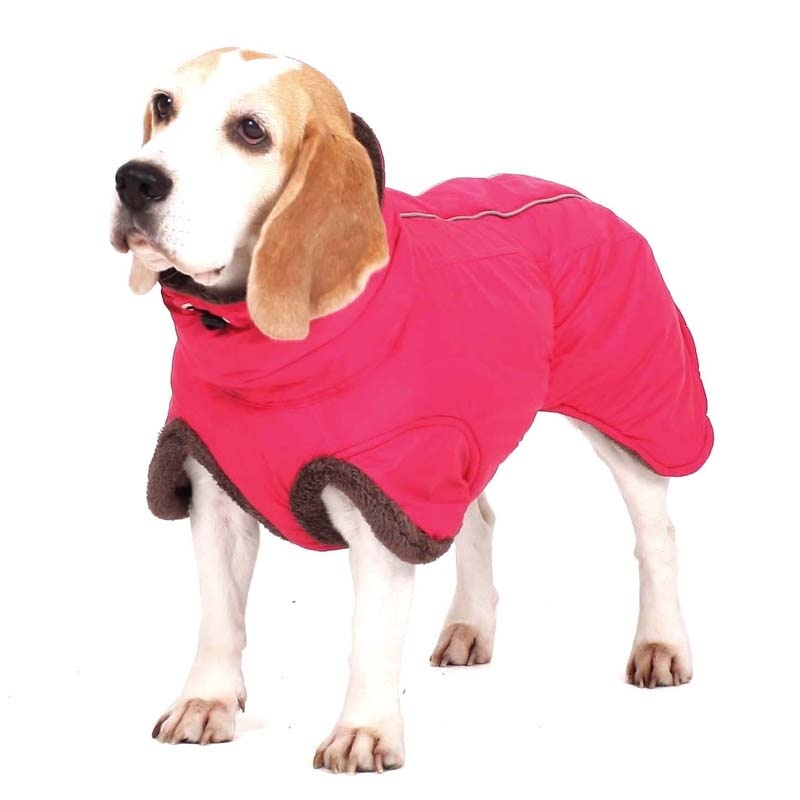 The lining is made from fleece with long hair, which is also used for hems around the front legs. The filling is made ​​of polyester wool. 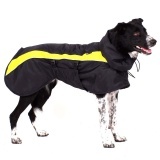 The vest is fitted with reflective strips for the safety of your dog. 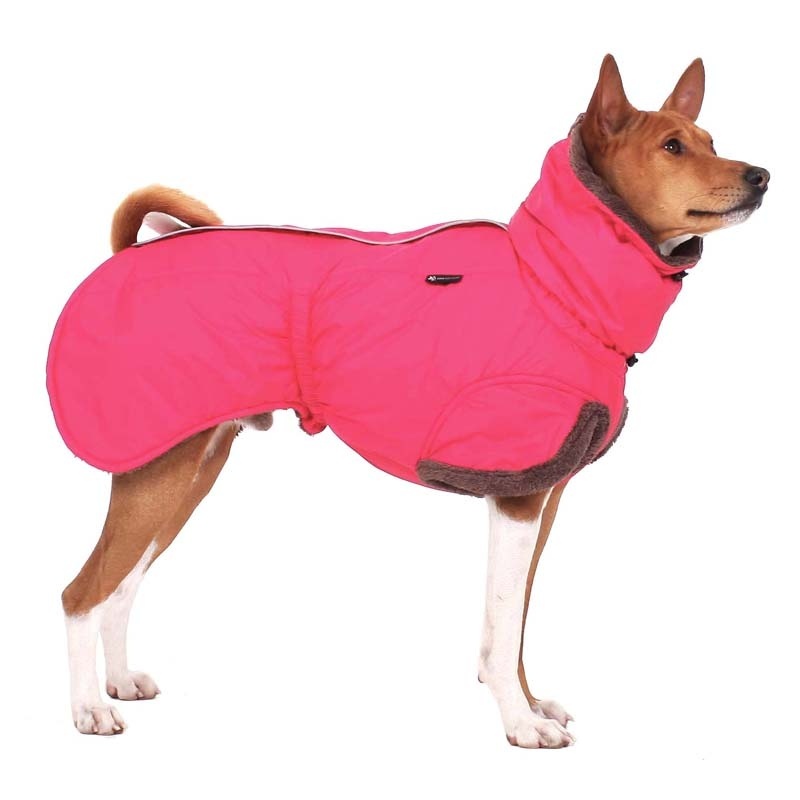 The long hood covers well the neck and also ears. 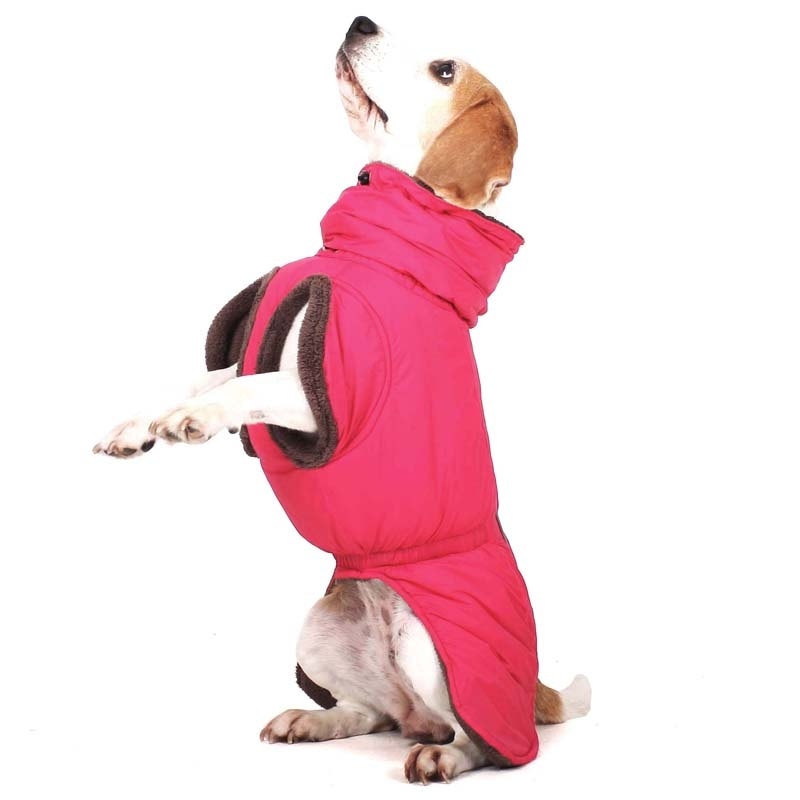 Wearing the vest, you pull the hood over the head, insert through legs and finally close the zipper on the back. 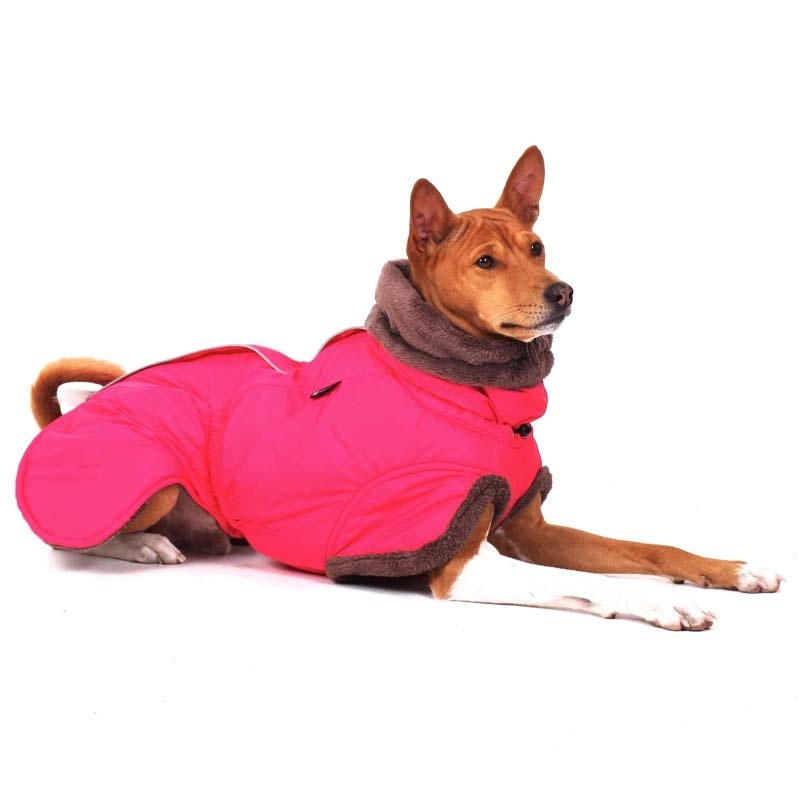 The shape and the adjustable neck allows to use this vest for a wide range of breeds. 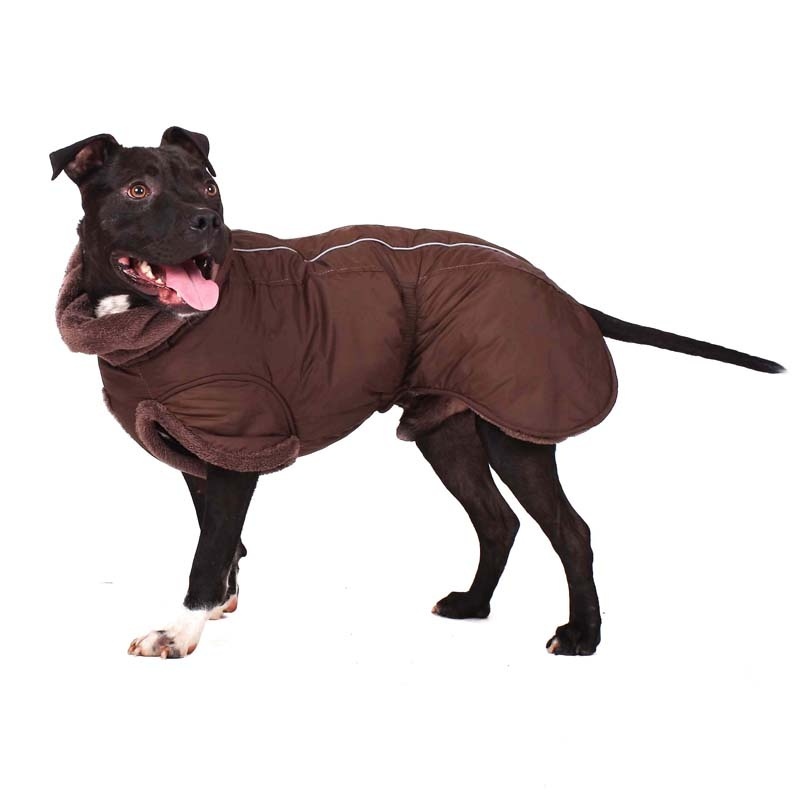 The shape suits to the dogs with tail carried up. See the table in the gallery of the product. The "A" (RED) is the backlength of the dog. It´s measured from the shoulders to the point before the beginning of the tail. Don´t measure the neck, don´t measure the tail! 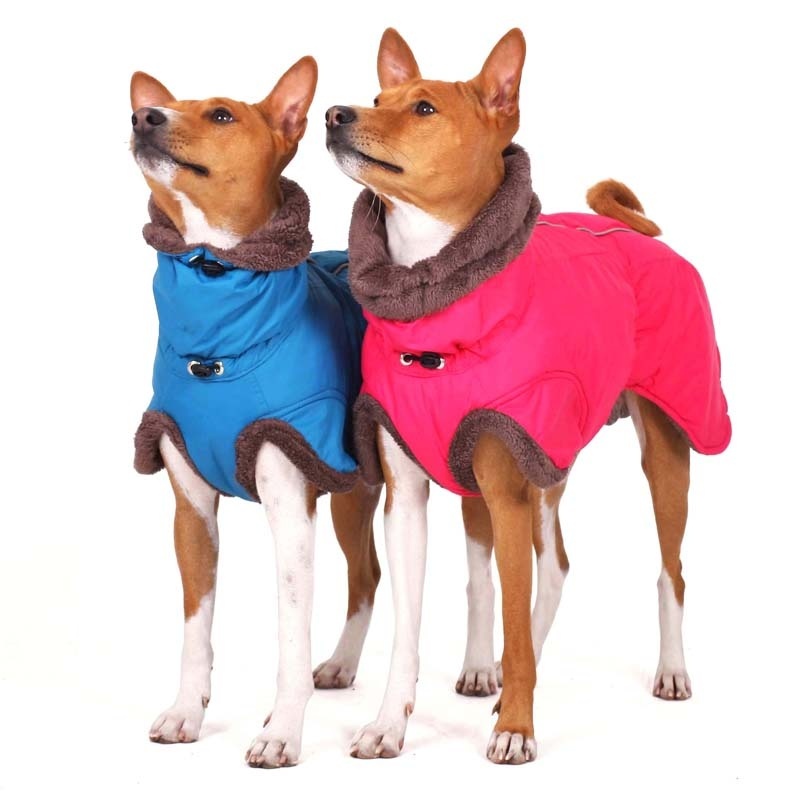 The "B", "C", ... (BLUE) describe the real measurments of the suit (not of the dog!). 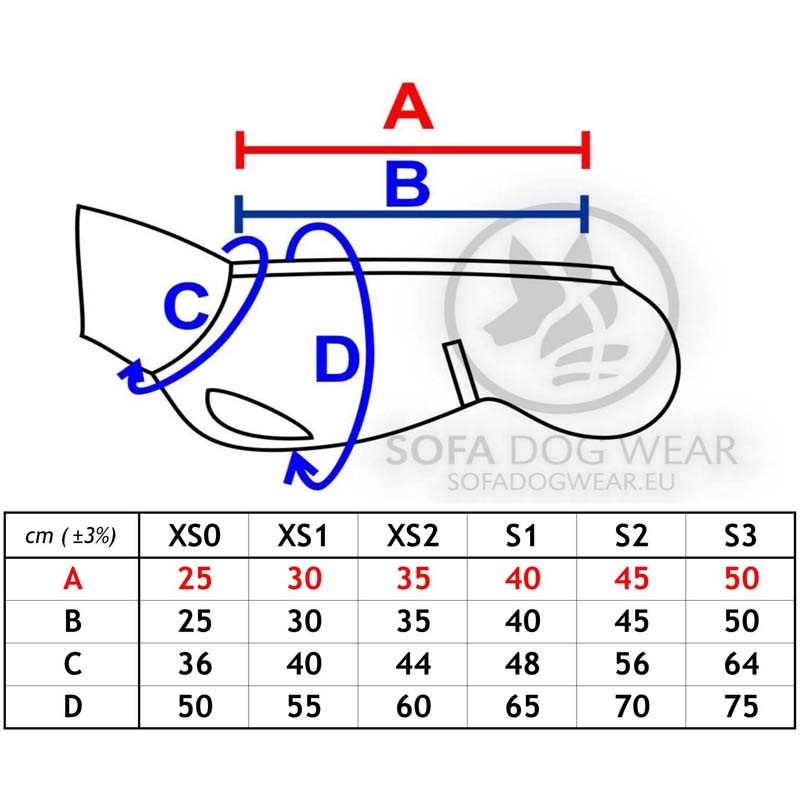 Measure the backlength and choose the corresponding size. 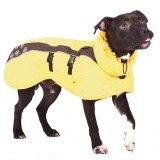 Then control the other meausurmentas, if their will fit to the body of your dog.